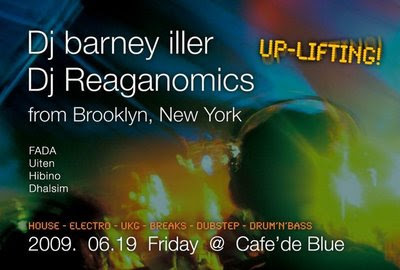 Two of the most craziest DJs in the Brooklyn's underground club scene, who are called Dj Barney iller & Dj Reagonomics will come to Kochi to rock the house! They play any style of music for the purpose of "lifting up" the crowd i.e. house, electro, breaks, dubstep and dnb. Don't miss to witness the vibes of the party monsters!